Our fully accredited, government funded home care services are fully flexible, totally designed around your individual needs, and are available seven days a week right through the year. We provide a wide range of care and support services right in your own home, from help with chores around the house and garden, shopping, transport, and preparing meals right through to more personal care like help with showering and dressing, assisting you with your medications or providing qualified clinical care. You’ll receive more or less support as your needs change, helping you maintain the dignity, flexibility and enjoyment of staying at home as long as possible. And, if you or your family need a break for a while, with the assurance of knowing you’ll be looked after around the clock, we also offer respite care in our award winning Banksia Lodge. 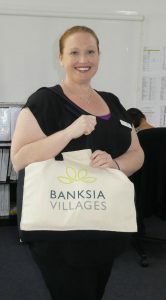 What is Banksia Community Care? Banksia Community Care is a fully accredited, approved provider of a wide range of care and support services – or home care packages – designed to assist elderly people living independently in their own home. These services are provided direct to the home seven days a week right through the year, and can be used as the primary care service or to support families and carers already assisting loved ones in the home. Clients can choose from a diverse and flexible range of services, from help around the house through to higher level clinical or personal care, enabling them to choose the mix of support that best meets their individual care needs and expectations. Our Community Care service is delivered within the guidelines of the Government’s new Consumer Directed Care program. For more information about Consumer Directed Care, you can also visit the Government’s myagedcare website. Consumer Directed Care (CDC) is part of the Australian Government’s Home Care Packages Programme, and was introduced as part of the Government’s aged care reforms. All accredited home care packages are now delivered within the CDC guidelines. This means you (and your carer, if you have one) have more choice and control over what services are delivered to you, who delivers them to you, and when and where they are delivered. you and your service provider regularly review your care package to ensure it is meeting your individual needs. CDC also allows you to use your own money to purchase “top up” services to complement your care package, if you choose to. How does Banksia Community Care work? To access Banksia Community Care, you first need a referral from your GP, followed by a comprehensive assessment by an Aged Care Assessment Team (ACAT). The ACAT assessment will determine your care needs and the level of government funding available to you. To find out more about ACAT assessments, you can visit the Government website myagedcare.gov.au, or talk to your GP. Once you have your ACAT assessment in place, the Department of Health will provide you with a unique referral code. You can then engage an approved provider to supply care and support services to your home. Our friendly Community Care team will work with you to develop a care plan and select the services that meet your individual needs – either from our own suite of services or from another provider that we can coordinate for you. In line with the Government’s regulations for community care programs, clients maintain complete control over their home care package and can change the mix of services at any time to ensure their needs are catered for. We provide a range of practical home help and professional clinical care services for elderly people, designed to make staying at home easier and more comfortable. To be eligible for a community care package, you will need a comprehensive assessment (called an ACAT assessment) by an authorised ACAT assessor. For more information about an ACAT assessment, you can call ACAT directly on 1800 200 422, visit myagedcare.gov.au, or talk to your GP. Banksia’s home help services are individually tailored to the needs of each client, and costs depend on which services are chosen and how often they are needed. Government funding is available for Community Care, under its Consumer Directed Care program. This funding is subject to a means test by the Government to determine an individual’s eligibility for funded home care packages, making the services more affordable to clients who are on a pension or of low means. Private payment options are also available, making it possible for clients to purchase services on either a one-off or ongoing basis. Available to residents of Banksia Village and the surrounding community, Banksia Community Care provides a range of quality support services to help older people remain independent in their own home and environment. 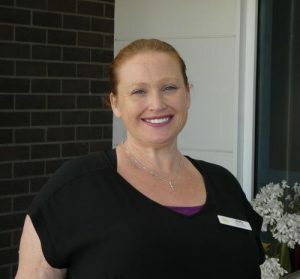 Joining Banksia’s home care service, Banksia Community Care, in March, Kelly brings with her a wealth of experience in high level clinical care and community nursing, and is well-known in the Eurobodalla region from her previous roles in the area including at Moruya and Batemans Bay hospitals. We caught up with Kelly recently to get to know her better…..
BV: What qualifications did you gain for your career? KK: I completed my Bachelor of Nursing at the Southern Cross University in Lismore in 1997 and became a Registered Nurse (RN). During my uni holidays, I worked in the aged care sector and realised how much I love being around older people. I’ve always gravitated back to aged care throughout my career because of that. After I completed my RN, I did a 12-month transitional program at Prince Henry and Prince of Wales hospitals in Sydney. I worked in three areas during that year – medical oncology, HIV and Infectious diseases and cardio-thoracic surgery. It was an amazing opportunity to build my clinical experience. I really enjoyed cardio-thoracic nursing and actually stayed on at Prince of Wales for a further two years doing that, after my transitional year. BV: Where did you go after Prince of Wales? KK: I’ve always believed it’s important to continue developing my skills and experience, to be an effective nurse. After Sydney, I decided to move to Canberra to focus on home and clinic based wound and stoma care, general community nursing and palliative care. I was also the Clinical Nurse Educator for the whole South Canberra region, and as well as extending my own knowledge, I was responsible for developing and delivering training for other nurses and clinicians across that region. It was a great experience. BV: What brought you to the South Coast? KK: I had an opportunity to move down here in 2007 (and who could resist the chance to live in paradise!) to do further work in community nursing. I also managed clinical quality assurance and accreditation for a number of providers in the local health care network. BV: What do you enjoy most about your role? KK: I’ve enjoyed most of the different areas I’ve worked in during my career, but I have to say home care and community nursing is it for me. Its primary care – helping people stay out of hospital and in the familiarity and comfort of their own homes as long as it’s safe for them to do so, or supporting them after surgery or to recover from an illness. It’s a privilege to be invited into people’s homes, to build relationships with them and their families, and know that I can provide professional care that makes a real difference to their lives. BV: What has Consumer Directed Care meant for home care? KK: Well, with CDC, the client is the boss, which is the way it should be. The client gets to choose what services they want, and who provides them for their home care package. My role involves sitting with people to understand what support they would like, as well as what might be beneficial for them. CDC has been a great development in our sector, but there have been some challenges for people working their way through the system for the first time. So, part of my role involves helping people find their way through government services like MyAgedCare and the ACAT process. BV: What services can people receive with a home care package? KK: A lot of people still don’t realise how wide the variety of services and support is that they can access with a home care package. For example at Banksia, as well as fully qualified nursing and clinical support clients can access personal care like help with showering and dressing, and help around the home like cleaning, meal preparation and even gardening and maintenance. We also provide transport and can help with shopping. It’s all about what the individual client needs and how we can best provide that support. Thanks Kelly, and welcome to the team! To find out more about home care, contact Banksia Community Care on (tel) 02 4472 6621, talk to your GP, or visit the government’s MyAgedCare website. I spend the bulk of my day with clients in their own home. This is vital in developing and maintaining relationships and working collaboratively when providing care in a person’s home. Along with our other Registered Nurses, I deliver a range of different care services, but predominantly any type of clinical care that’s required. My main role is to encourage a wellness approach to maximise the abilities of each individual client, as they are all unique.